This Q&A is part of a GovLoop series called “CIO Conversations.” Here, we’ll feature conversational interviews twice a month with current and former federal, state and local chief information officers to get to know the people behind the titles. You’ll learn about the perks and challenges of their job, how they ended up in their current position, what’s top of mind for them, how they’ve rebounded from setbacks and more. Santa Clara County is the 17th largest county in the U.S., rapidly growing with about 2 million residents. Seated in Silicon Valley, the county comes with a large onus on government to match the tech demands and expectations of its citizens. Ann Dunkin took over the job of county chief information officer in 2017, assuming the same post that she previously held at the Environmental Protection Agency (EPA), where she led the development of an e-enterprise portal. 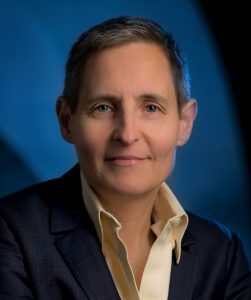 Since coming to Santa Clara County, she has emphasized Agile processes and digital services, which have saved the county hundreds of millions of dollars. The county now has portals that allow residents to do everything from make partial tax payments to check restaurant health scores online, and e-filing is currently in development. GovLoop spoke with Dunkin in January. The interview below has been lightly edited for brevity and clarity. GOVLOOP: What defines a digital service outside of an “E” in front of the name? DUNKIN: At its most basic level, it’s simply that you’re doing something electronically. And generally speaking, you’ve got data and content crossing platforms. A digital service is generally somewhat platform-agnostic, or at least enabled on multiple platforms, so that you can use it on the web. They frequently have a mobile component or entirely a mobile solution. That is sort of what I think people think of as digital services, but I think that extra points run in with being transformative – the idea that the digital service is not simply digitizing a paper workflow, or taking an existing client-server application and going to the web or going to mobile, but really rethinking it and transforming it. GOVLOOP: That makes a lot of sense. I saw that average cycle time dropped from five days to five hours with digital signatures. DUNKIN: It can be a lot more than that because we got things routed. So a lot of the use cases for the e-signature are this document physically has to go from this building that I’m sitting in to the county center at West Heading and then over to the Social Services building, and then back over here for Security to review it. And so, for example, my staff did an analysis that was just mind-boggling. And I can’t remember the exact number, but it was in the hundreds of millions of dollars of savings from digital signatures. DUNKIN: It’s not literally savings, right? We didn’t save that money. What we did was we added productivity. There’s a reason why people go after that because there’s so much value in that process, or so much wasted time in those processes. I mean I went, “this can’t be hundreds of millions of dollars,” but when you turn on its head and you said, “all these people got to do other things for thousands of hours,” you really do understand that the productivity gained is amazing. And that productivity translates to more eligibility workers being able to spend time to understand who’s eligible for benefits and get people signed up for benefits; or, you know, caseworkers spending more time with children at risk; or police officers spending more time on the beat instead of in the office doing paperwork. So it translates to real meaningful services to the community. GOVLOOP: How can these same services go back into helping citizens? DUNKIN: It’s the time of driving to the county offices for plan reviews. And then being able to sign off on those submissions electronically and vouch for the fact that ‘I am the engineer who signed and sealed that document, and I am submitting it on the behalf of my firm.’ So there’s going to be some electronic verification of who those people are when they submit their forms. Those types of things are goals for the public-facing tool – that and paying your property taxes online. The ultimate goal is for anyone who’s trying to go through a permitting process or licensing process to be able to do that completely online to the extent that the law allows. 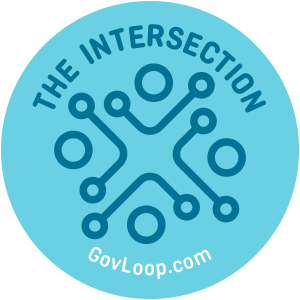 GOVLOOP: Santa Clara County is also a pretty innovative one. What goes into that spirit of innovation when it comes to IT? ‘Cause I know there are all sorts of barriers. But how do you push through those? DUNKIN: We’re trying to be innovative. We’ve got a lot of work to do to be where we want to be. But, you know, we hired a new chief technology officer (CTO) last year, and he’s really been working with his team to encourage them to be more innovative. In this coming year, we’re setting up an innovation lab in the CTO’s office with the goal of really being able to quickly evaluate new technologies and new use cases and to identify ways that we can be more productive and to serve our citizens better. GOVLOOP: How does the proliferation of mobile technology, mobile phones and other devices play into the role of digital services? DUNKIN: You have to design your solutions to be mobile first. There’s a nontrivial portion of our population that only has access to mobile devices. If you are in the underserved community in this county, and you can only afford one thing, that one thing is going to be a phone. And so we need to make sure that all of our services are mobile-friendly. For example, we deployed partial property tax payments. Most jurisdictions will not accept partial tax payments, and we deployed an application that will allow people to pay their taxes in as small a chunk as they want because we understand that people often can’t budget for their taxes unless they pay them on a monthly basis. We have services for people who are in pretrial, people who are using our social services systems. Maybe, again, the only thing they’ve got is a phone. And so we want to make sure that all of our applications are mobile-friendly, that they’re designed with that mobile experience in mind. So whether you’re a resident that’s just linked for convenience or someone who only has a phone, the goal is that you can interact effectively with the tools the county provides and be successful.